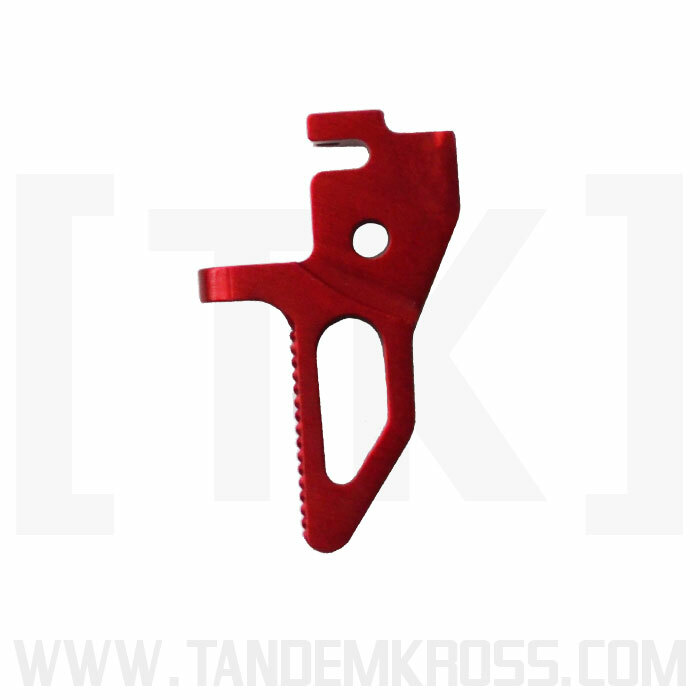 Improve trigger pull, boost accuracy and customize pre- and post-travel with the ultimate SW22 trigger upgrade from TANDEMKROSS. 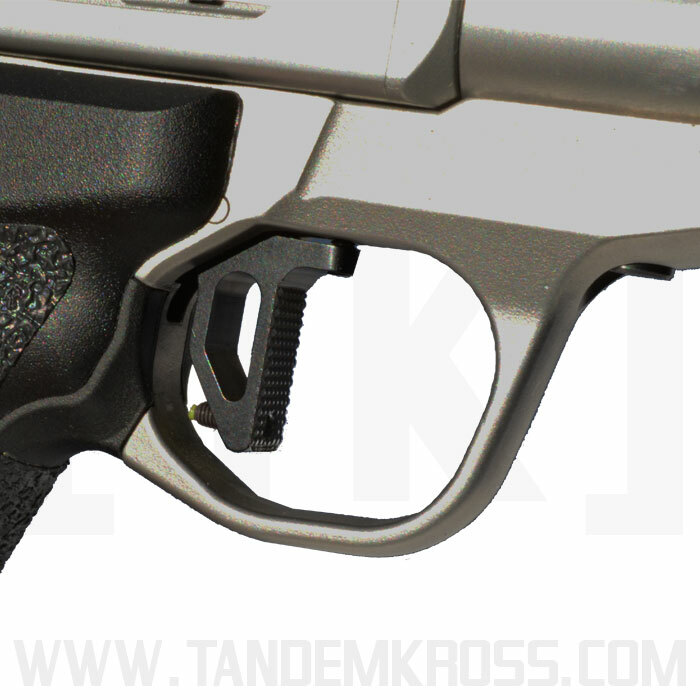 **Installation Note** We have updated the trigger to include a new retaining screw in the top of the trigger. Loosen the screw so that the disconnect bar can slide into the top of the trigger, then tighten the retaining screw down all the way. 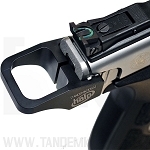 This will lock the disconnect bar to the top of the trigger and prevent it from walking forward, not allowing the trigger to reset. 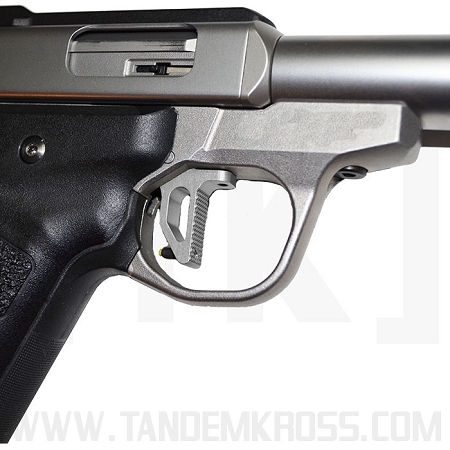 The factory SW22® Victory™ trigger stands out in the rimfire market for its crisp feel and light trigger pull. But even good triggers can be made GREAT! 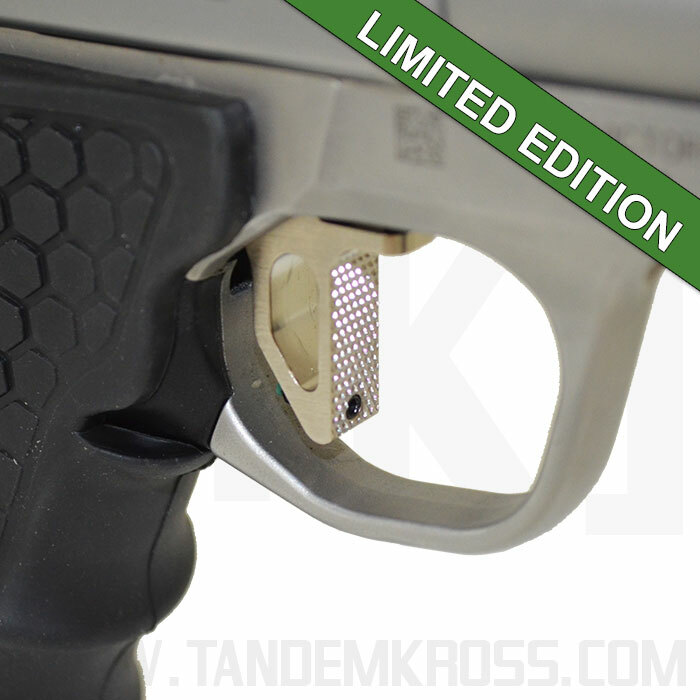 The new TANDEMKROSS “Victory” Trigger for the Smith & Wesson SW22® Victory™ is the ultimate SW22® trigger upgrade - ideal for speed shooting competitors! 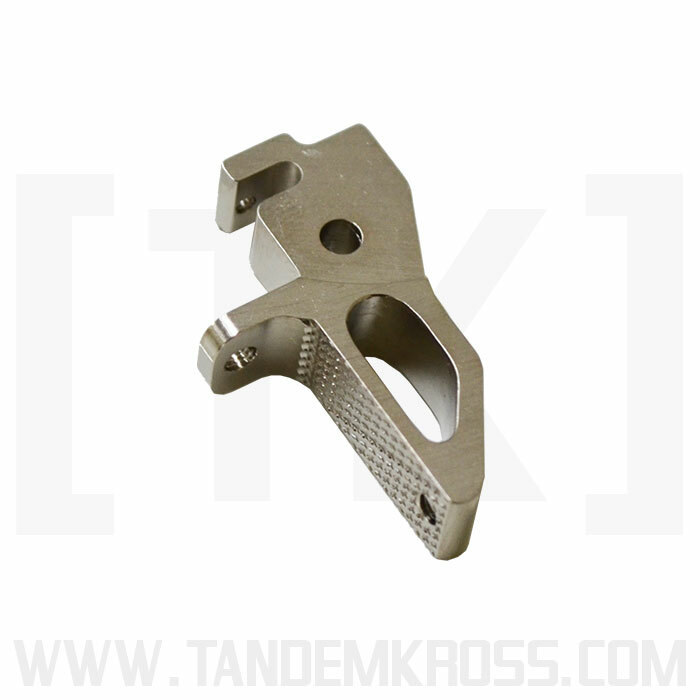 The TANDEMKROSS “Victory” Trigger removes nearly all pre-travel upon installation, and comes with pre- and post-travel adjustment screws to allow each shooter customize their SW22® trigger upgrade. Don't forget! 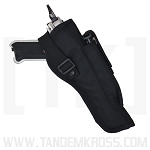 All TANDEMKROSS products come with a no-hassle lifetime guarantee! WARNING: The *chrome* version of this product can expose you to chemicals including nickel, which is known to the State of California to cause cancer. For more information go to www.P65Warnings.ca.gov. If you are already a good shooter, this upgrade will improve your performance by 25%. Improved my trigger pull from 4-6oz to 3-6oz. Cut the over and under travel by my estimate of 25%. 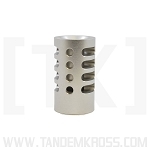 Trigger takeup near zero for a quicker firing response upon target acquisition. Youtube video made the change out quick and EZ. A truly valuable upgrade at a more than reasonable price. Fantastic. 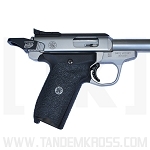 I have one on my Ruger 22/45 and was thrilled to see TK make one for the SW Victory. Install was fairly easy following their install video, and the tolerances are tight. Shoots great. I have found that setting the overtravel and reset screws during install/dry fire sometimes change once the pistol is fired, so tweaking them is necessary. Great trigger. 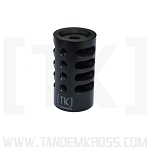 I am so pleased that Tandemkross was quick to respond with a trigger mod that is spot on and priced right! The install was relatively easy and provided me with a quite enjoyable 10 minutes of working with my hands. When all said and done, the trigger registered right around 2lbs! The serration on the face added to my trigger contact consistency and I simply love this addition. 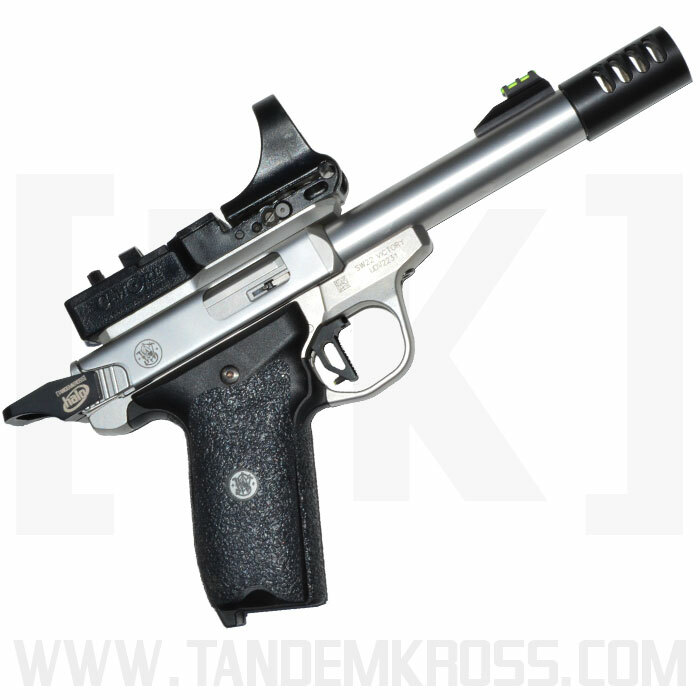 THE VICTORY ALREADY HAS A GOOD TRIGGER,BUT THE ADDITION OF THE TANDEMKROSS TRIGGER MADE IT EVEN BETTER TO SHOOT. INSTALL VIDEO WAS EXCELLENT. FRIEND TRIED THE NEW TRIGGER ON MINE AND HAD TO HAVE ONE ALSO. Very easy trigger to put on watching the youtube video was helpful thanks love the new victory trigger. Q: How difficult is this trigger to install. How about a video? A: The Trigger does take some patience to install. However if you following video and/or printed instructions you will be able to install the trigger. Our video is on the product page or you can find it on youtube. Was this answer helpful? 42 of 44 Customer(s) found this Answer helpful. 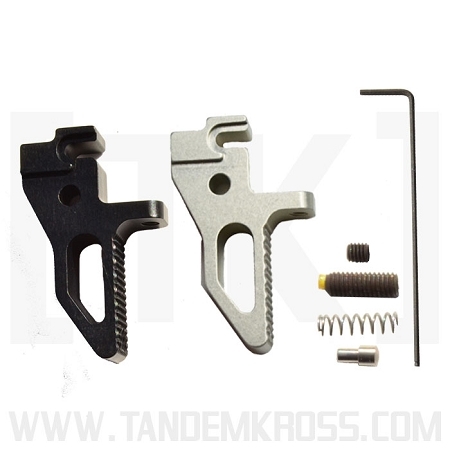 Q: How do you keep the trigger spring in place. I have now lost the damn thing 6 times?. A: The Trigger spring can be a bit tricky. I recommend using pencil with a new eraser. The eraser assists in getting the spring and detent in place. Installing in large zip loc bag will also help if the spring does go flying away. Was this answer helpful? 39 of 42 Customer(s) found this Answer helpful. Q: What size allen keys are used for the pre-travel and over-travel screws? A: The allen keys are 1.5 mm. Was this answer helpful? 36 of 36 Customer(s) found this Answer helpful.